Rural schools often lack the resources and opportunities to provide student enrichment beyond the basic curriculum. School garden initiatives offer a variety of educational lessons as they encourage the next generation to eat healthy and local foods. 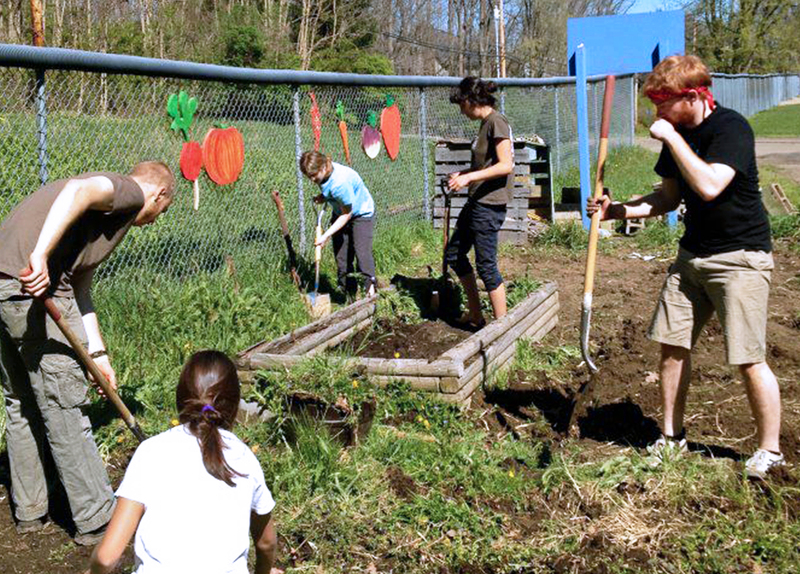 The Kenyon student organization People Endorsing Agrarian Sustainability (PEAS) launched a school garden project at nearby Wiggin Street Elementary School. To enhance the initiative, Rural by Design supported a summer student intern to maintain the garden, organize parental participation, plan farmer visits to the school cafeteria, and work with teachers to develop classroom activities relevant to the curriculum. The work done at Wiggin Street will serve as a model for other schools to adopt countywide.